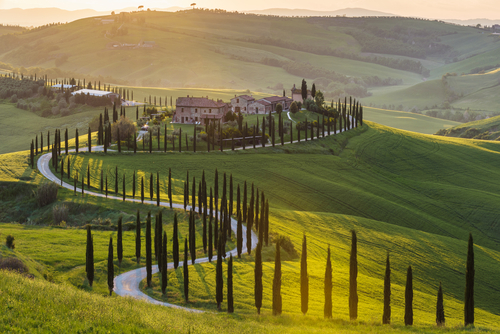 Sprawling across glorious green fields, luscious vineyards and pristine golden beaches, Tuscany is one of the most beautiful Italian regions. Visitors can experience an array of art and culture in cities such as Florence, and can also spend time listening to the birds and getting to know local wildlife, such as deer and wild boar, in rural areas. There is never any shortage of things to do in Tuscany. Spending time exploring art galleries, and wine tasting at one of the many vineyards are both popular. However, there are other, less well-known ideas to consider when you are looking for the best things to do in Tuscany. Even if you have never fished before, you are sure to enjoy spending a day line fishing in the Maremma area of Tuscany. The parklands here are incredible, and you can enjoy the views as you travel to join a fishing trip in the picturesque town of Talamone. The day starts with breakfast, before the fishing starts in earnest. You get the opportunity to catch your very own sea bream. You can also join in with the work of local eco fishermen who catch the nets of trawler fisherman to help protect the area from over-fishing. The day is not all about fish either. You get to spend time swimming in the crystal blue waters, at the end of your adventure. Pine groves can be found throughout Tuscany, and they provide welcome shade from the summer sun. You can choose to spend time walking through the groves, breathing the air and enjoying the tranquillity. If you are on vacation as a family, the pine groves make a great place to relax and enjoy a picnic. You may even want to take a tent along, and camp in the allocated areas. You can sit and relax under the stars at night, before going to sleep. This is one of the most beautiful things to see in Tuscany. There are many areas where you can find the best pine groves in Tuscany. All of these areas of pine groves are places where you can experience the true peace and beauty of Tuscany. The Sagra del Cacciucco e della Frittura di Pesce (sea food festival), in Orbetello, takes place every August. It’s the perfect opportunity for tourists to enjoy the sea food of Southern Tuscany. Dishes are prepared by the locals, for visitors to enjoy. A sagra is a local food festival, and they can be found throughout Tuscany. If you do not like the idea of sea food, take a look online before you travel and find a sagra that is more suited to your tastes. It’s the perfect opportunity to meet local people and savour the local cuisine. There are things to do in Tuscany in spring/winter and summer. When the weather is cooler, during the winter months and part of spring, it’s the ideal time to enjoy a spa treatment in Tuscany. You can choose to visit a natural spa site such as Gambassi Terme or Terme di Saturnia, or you can enjoy the facilities at a modern wellness centre. Whichever type of spa treatment you choose, it’s an excellent way to relax after a day spent hiking or skiing. At Montebelli, you can enjoy one of the spa treatments available for guests. The accommodation is also within easy reach of fishing and pine grove walks in the Maremma. There is something for everyone to enjoy.